North Shore Congregation Israel, 1185 Sheridan Road, Glencoe, Ill.
Judith R. Frazin, an expert genealogist from the Jewish Genealogical Society of Illinois, will present “Finding Your Jewish Roots: A Beginner’s Workshop” from 7 to 9 p.m. Wednesday, Feb. 22, 2017, at North Shore Congregation Israel, 1185 Sheridan Road, Glencoe, Ill. RSVP preferred, but walk-ins are welcome. RSVP: Phone 312-666-0100 or email info@jgsi.org. Judith R. Frazin, an experienced researcher and lecturer, will explain how to get started in genealogy, interview relatives and use the public library as a valuable resource. She will also identify internet and print resources and explain what records are available, where they can be found and what information they contain. She will explain how to conduct your research in a logical step-by-step manner. European research resources will also be discussed briefly. An extensive handout will be provided. A genealogist for 46 years, Frazin has done extensive research on all the branches of her family. She served as president of the Jewish Genealogical Society of Illinois for 10 years and was a member-at-large on the IAJGS board of directors for three years. She is the author of three editions of A Translation Guide to 19th-Century Polish-Language Civil Registration Documents (including Birth, Marriage and Death Records). She also has written a book about two of her family branches that has been distributed to family members. In 2010, the International Association of Jewish Genealogists granted Frazin its award for Outstanding Contribution to Jewish Genealogy via the Internet, Print or Electronic Product. 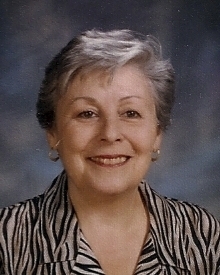 The Polish Genealogical Society of America also recognized her contributions to the field of genealogy by selecting her for its Wiglia award in 2000.